Route 101 is a historic road here in the San Diego area, perhaps more so in North County. A trip along this coastal roadway leads past beautiful beaches, dozens of eateries, loads of shopping and so much more. Route 101 is NOT just a way to get from point A to point B (and avoid the freeway) but is really a visual experience. 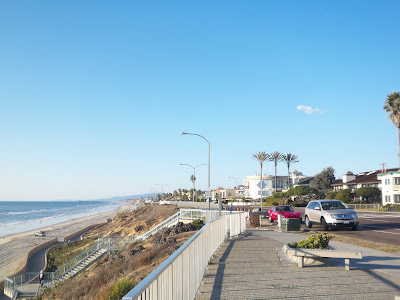 Take a look at my recent post (which won a contest) for a trip along this coastal highway in Carlsbad, and enjoy the VIDEOS.